This year, SCOPE has a goal of contacting more than 50,000 voters–but we can’t achieve this without the help of SCOPE members, community residents, students, and our allies. That is why we are reaching out to ask that you volunteer this Saturday morning with us to help Get Out The Vote in South Los Angeles. In our latest video, volunteer Isabel Medina shares her experience and the importance of door knocking in our communities. 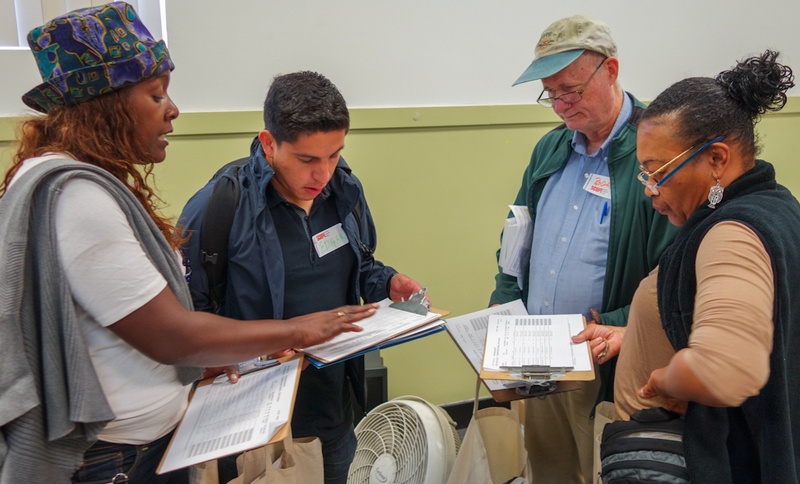 By connecting with our neighbors one on one and engaging them in the election process, we can ensure that elected officials will be accountable to our communities and not to big corporations and their rich donors. We have to turn out to vote in big numbers — not just in November, but also in the Primary on Tuesday June 7 where important local decisions will be made. In this historic election year, we have the opportunity to set the tone for decades to come. A growing progressive voting block of communities of color in South LA is demanding that our neighborhoods deserve better schools, streets, and hospitals. That everyone should have access to good jobs and a living wage. Join us in being the change we want to see in our communities. RSVP to Door Knock Here.